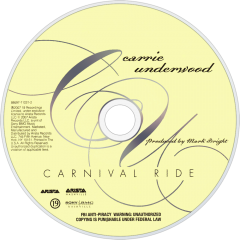 Carnival Ride is the second studio album from American country artist Carrie Underwood. It was released in the United States on October 23, 2007. It has been certified 3x Platinum by the RIAA. 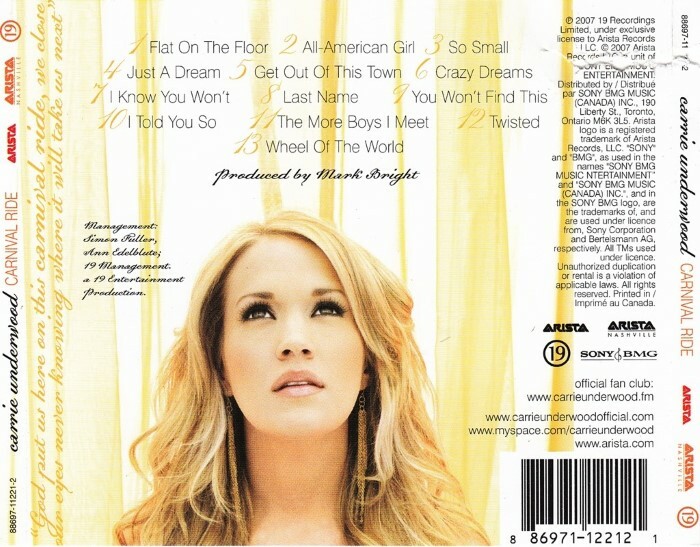 The album includes the singles "So Small", "All-American Girl", "Last Name", "Just a Dream", and "I Told You So", the first three of which were co-written by Underwood. 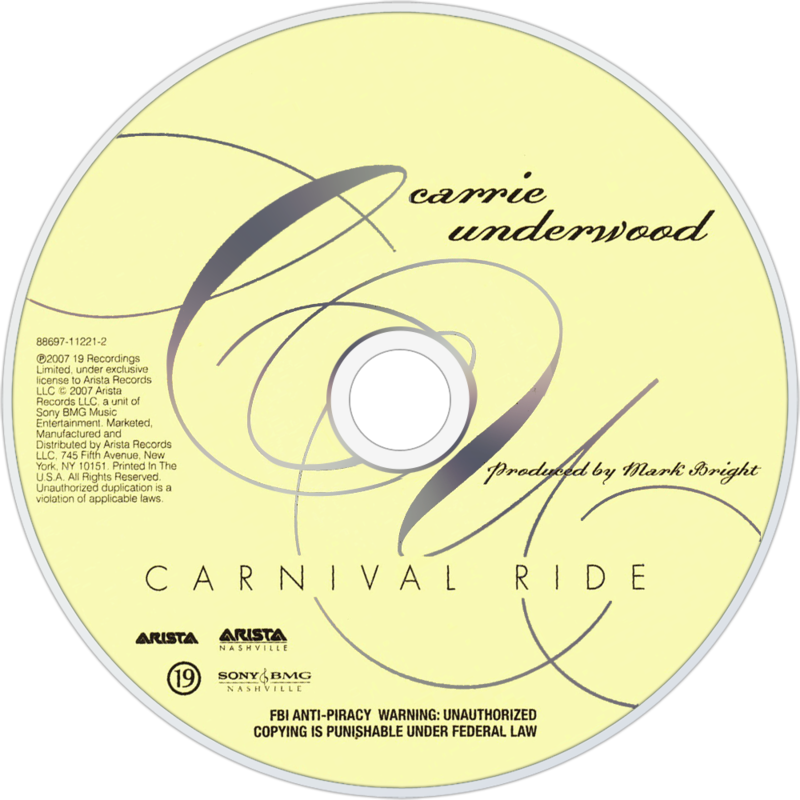 The album was Underwood's first to debut at number one on the US Billboard 200 Chart, selling 527,000 copies. It has sold 3,314,000 copies as of February 2013 in the United States. The album appeared on the Billboard Year-End Charts for 2009 at number 74.